Stan and Jack come up with the idea of Arthur learning to drive a bus, after all he can drive a motorbike and side car. But despite everything Arthur landss a job as a bus driver, perhaps now Stan can marry. There is the important task of a darts match in the canteen to be settled first, even Blakey and the Depot Manager Mr Jenkinson (Kevin Breenan) are involved, although Mr Jenkinson has his eye on more than the dart board. How can Stan earn more money, there is the new Safari Bus, must be plenty of tips for the crew. With Jacks help and their devious methods Stan ends up with the job of Safari Bus Driver, Safari uniform included. 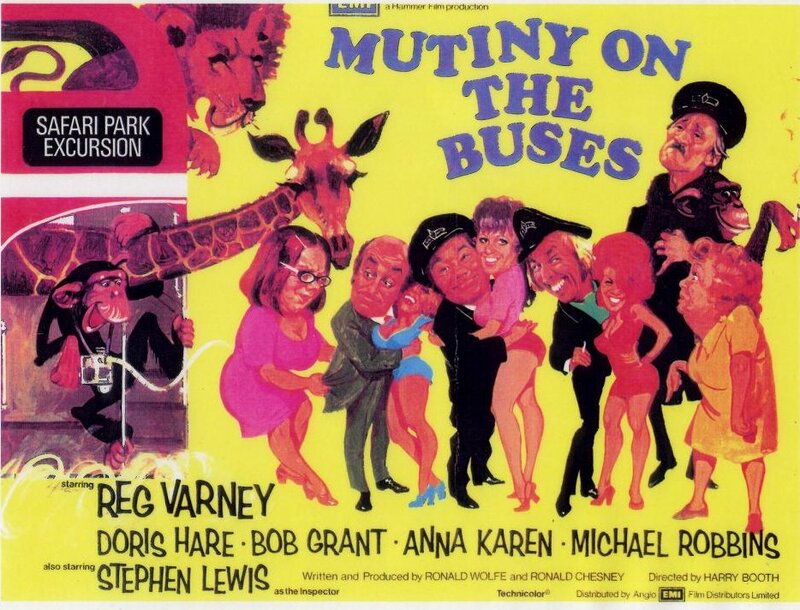 Blakey and Stan go out on a trial run at Windsor Safari Park and things go so wrong that the whole exersise is a disaster Blakey is demoted to bus conductor, what's worse he is put on Stan's Bus. Stan....REG VARNEY Stan's Mum....DORIS HARE Olive, Stan's Sister....ANNA KAREN Olive's Baby....WAYNE WESTHORPE Arthur, Stan's Brother-in-Law....MICHAEL ROBBINS Jack, the Conductor...BOB GRANT Blakey, The Inspector...STEPHEN LEWIS Susy....JANET MAHONEY Norah....PAT ASHTON Mr Jenkins, Depot Manager...KEVIN BRENNAN Mrs Jenkins....DAMARIS HAYMAN New Inspector....BOB TODD Safari Guard....DAVID LODGE Sandra....CAROLINE DOWDESWELL Harry....TEX FULLER Gloria....JAN RENNISON Gladys...JULIET DUNCAN Airline Pilot....MICHAEL NIGHTINGALE Policeman, Safari Park....ROGER AVON Policeman, in car....GARRY LINEHAN Policeman. On Beat....DAVID ROWLANDS Depot Nurse....NICOLETTE CHAFFEY Bus Passenger....DERVIS WARD Director Harry Booth.